Who doesn’t love a whole lot of roasted veggies in a bowl with a beautiful dressing? 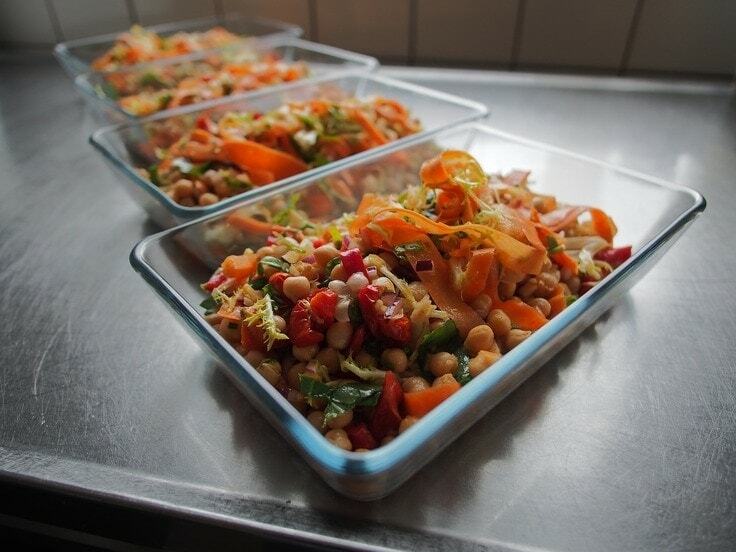 Start by preparing your vegetables: think about foods that caramelize well in the oven: sweet potato, Brussels sprouts, carrots, peppers, and chickpeas. You want to chop them all up into even pieces, about an inch large and place them on a baking sheet covered with baking paper. Roast them in the oven until they are fork-tender and have a nice dark color. Instead of lettuce, go for herbs: chop up some cilantro and mint, and then combine it with the roasted veggies. For the dressing, combine maple syrup, lemon juice, a little bit of olive oil with a pinch of salt and pepper and don’t put too much in the salad and mix it well. This salad is so full of flavor – and more importantly, nutrients – that you won’t even notice you’re not eating meat. We talk about salads being a self-sustained meal, but this recipe is like a full meal being converted into a salad. It starts with the butternut squash. Cut it open, clean it out and chop it either into squares or into large half-moons, depending on the shape of your squash. Put it in a medium oven Rub a little bit of olive oil, salt and pepper, and put it in a medium oven. 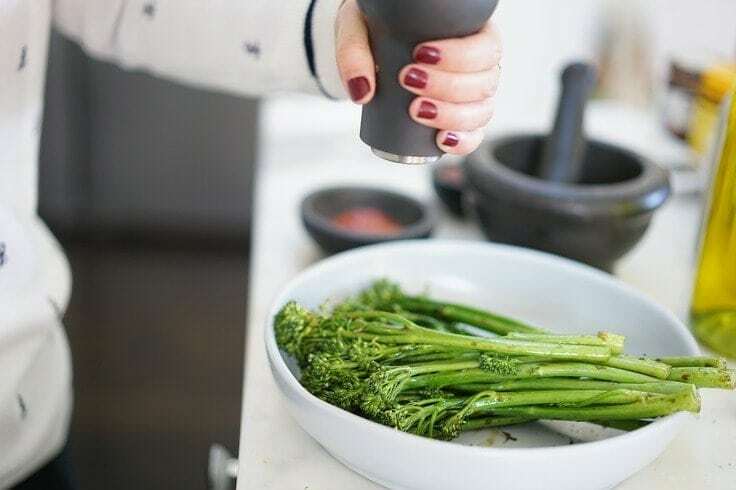 In a bowl, mix together the broccolini, halved grape tomatoes and chopped bell peppers with crushed garlic, vinegar, seasoning and a bit of olive oil. After 20 minutes, take the squash out of the oven, flip it over and add all the other veggies on top. After 15 minutes, your lunch is done. This salad is so healthy and helps reduce body fat. It’s served in some of the most amazing restaurants, like in the Byron Bay accommodation where they serve their own delicious variation with an added upland cress and pomegranate. Let’s step away from hearty, roasted salads and look towards something fresh and light, that will still keep you full for a long time. 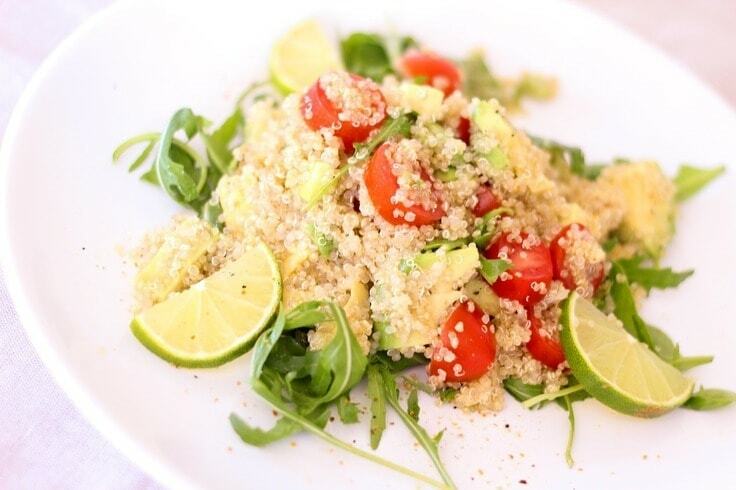 The base of the salad is quinoa, and you need to start by rinsing and straining it. If you want to get some extra nutty flavor with the quinoa, lightly toast it in a pan before cooking it. Boil some water or a veggie broth, then reduce it to a simmer and add the quinoa. You should have about 50% more liquid than quinoa, and you’ll know it’s done when it absorbs all of the water. Add the quinoa to a large bowl and start with the freshness: lime juice, curry powder, shallots, cumin, slivered almonds, pomegranate seeds and lime slices. If you want some extra sweetness, you can scatter some dried cranberries, raisins and even fresh fruit like watermelon or blood orange. All the fresh, zesty flavors make this a perfect dish for the days when you need a quick, 15-minute power salad that doesn’t feel heavy on your stomach, but will give you the energy you need for the day. Remember that, when constructing a salad, you need some substance. Iceberg will not keep you full, so go for hearty veggies, whole grains, protein-packed beans and lentils and simply all of the ingredients that are packed with nutrition. Serve it to your friends and family and you will never hear a word about vegan food being bland or leaving you with an empty stomach ever again!